One year ago today, I took a leap that one change my life. One year ago, I took three bins of K’nex out of our storage closet, dusted them off, and put them out on our library tables. I didn’t have an action plan. I wasn’t sure how my students would react. I didn’t know where it would take us. 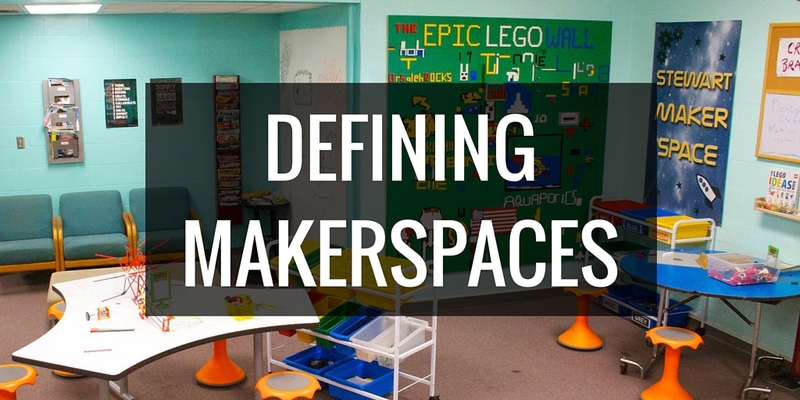 I had no prompts, no policies and procedures, no instruction manual on how to start a Makerspace. But I took the risk anyhow. And this simple decision to just go for it was one of the best decisions I’ve ever made for my students, my library and myself. The journey of this last year has been amazing. My students have connected with other students and makers through Skype and Google Hangouts. We planned our first mini Makerfaire together and received a warm reception from our school community. 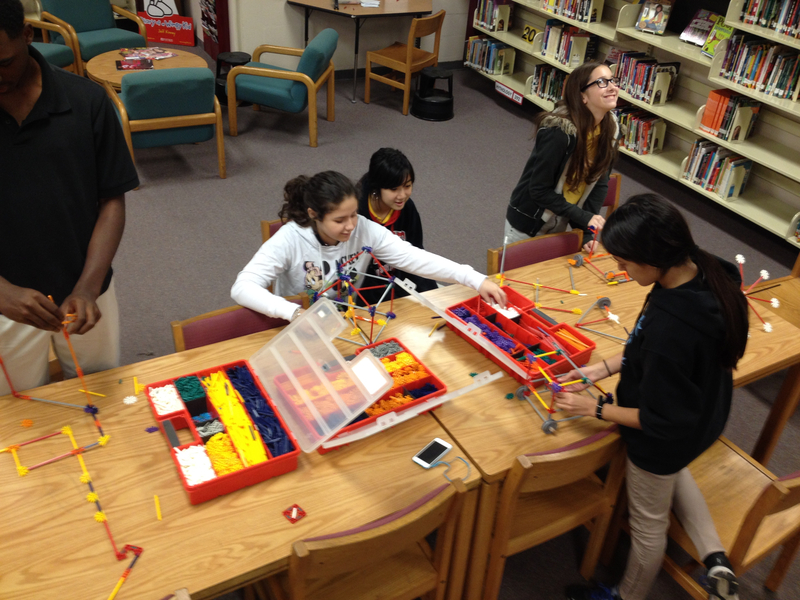 We got new STEM books, won a littleBits pro library and received a grant for new furniture. We had nine DonorsChoose projects funding over $5,000 worth of supplies. We built an Epic LEGO wall and painted a whiteboard wall. Our after-school STEAM club has connected with Colleen Graves’ students at Lamar Middle School on design challenges, sharing our projects through Google Hangouts. We’ve shared our story with the world through Twitter, Instagram, Vine, here on this blog and at state and national conference presentations. Some things worked, some things didn’t. Some days there were LEGOs all over the floor. Sometimes LEDs broke. Projects would fall apart with the first prototype. But we persevered. We kept going. 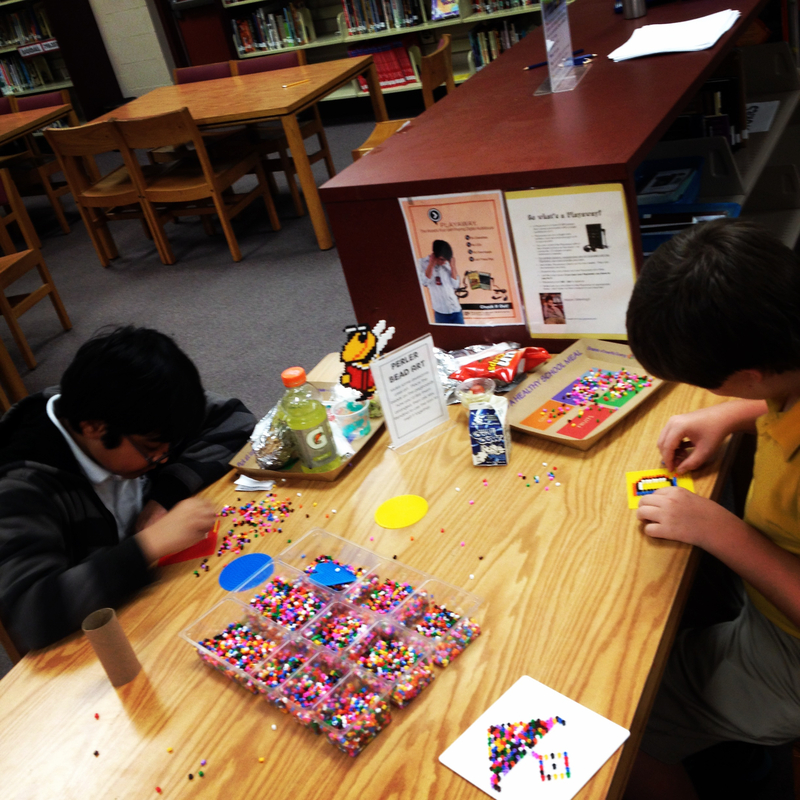 Diana Rendina, MLIS, is the media specialist at Tampa Preparatory School, an independent 6-12 in Tampa, FL. Previously, she was the media specialist at Stewart Middle Magnet School for seven years, where she founded their library makerspace. She is the creator of the blog RenovatedLearning.com. She was a monthly contributor to AASL Knowledge Quest from 2015-2018. Diana is the winner of the 2016 ISTE Outstanding Young Educator Award, the 2015 ISTE Librarians Network Secondary Award, the 2015 AASL Frances Henne Award & the 2015 SLJ Build Something Bold Award. 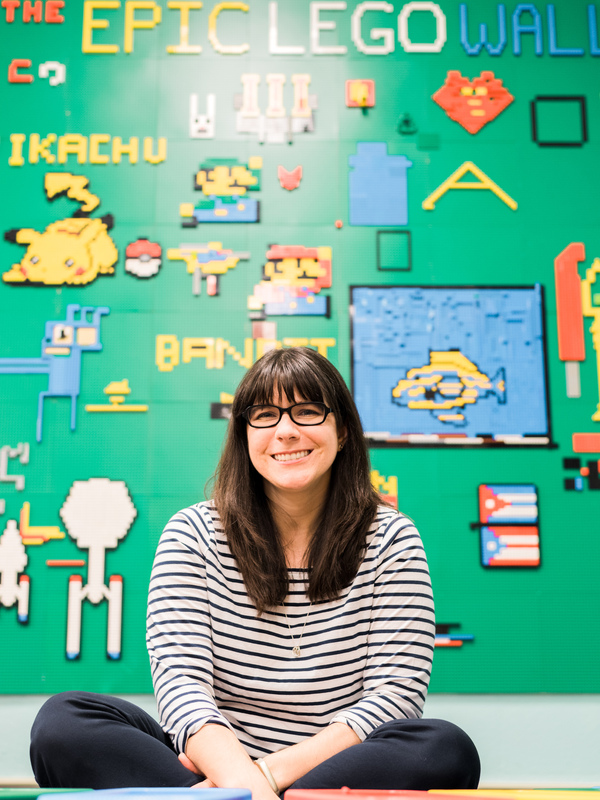 She is an international speaker on the Maker Movement and has presented at conferences including AASL, FETC & ISTE. Diana co-authored Challenge-Based Learning in the School Library Makerspace with Colleen and Aaron Graves and is also the author Reimagining Library Spaces: Transform Your Space on Any Budget. This is so inspiring! 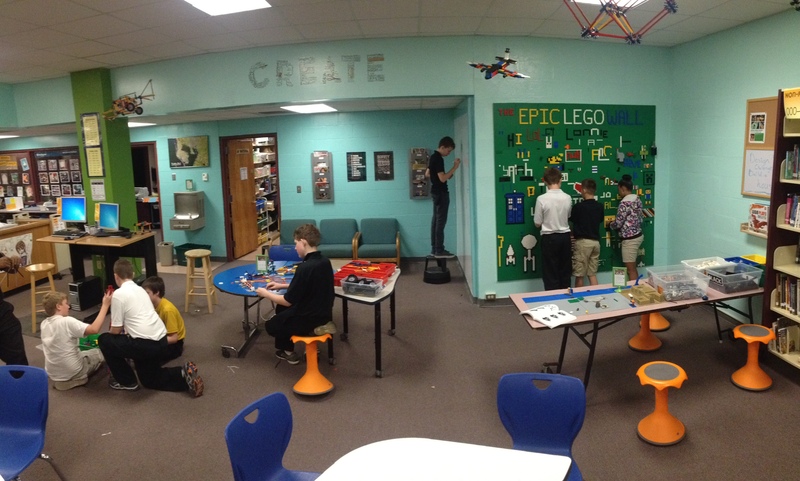 We are on our own Makerspace journey here in NH and are excited to see what kinds of changes will happen for us over the next year. We have a few tools, but with support from the Principal, Superintendent and PTO, we are hoping to build our collection in the next couple of months! Enter your e-mail address here and get every Renovated Learning post delivered directly to your inbox. Copyright © Diana L. Rendina /// Renovated Learning /// All rights reserved /// Feel free to link to any photo or graphic in this blog, or to a post in its entirety. However, before using any images, videos, presentations or other content, please contact for permission first.